Username/E-mail: Password: Sign Up | Forgot Password? 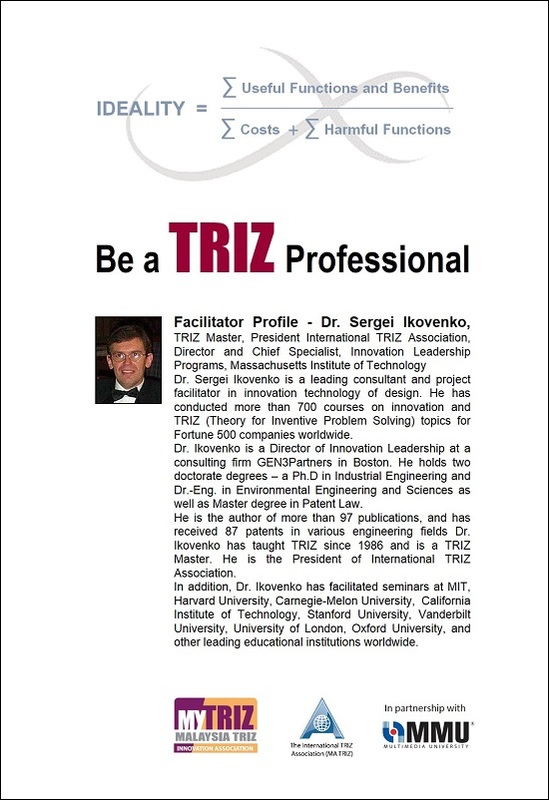 The MyTRIZ innovation association is a non-profit organization that exists for the benefit of those who know the TRIZ methodology, want to learn TRIZ, and wish to apply TRIZ for the benefit of all mankind in the country. 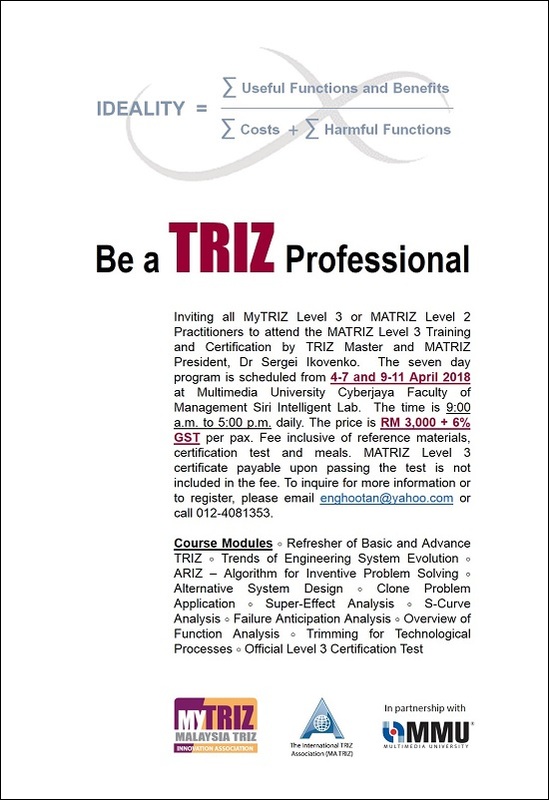 Copyright © 2010 - 2019 Malaysia TRIZ Association (MyTRIZ). All Rights Reserved. Designed by Tricor Senedi.